After a months-long search I have finally acquired the perfect pair of boyfriend jeans from Madewell! 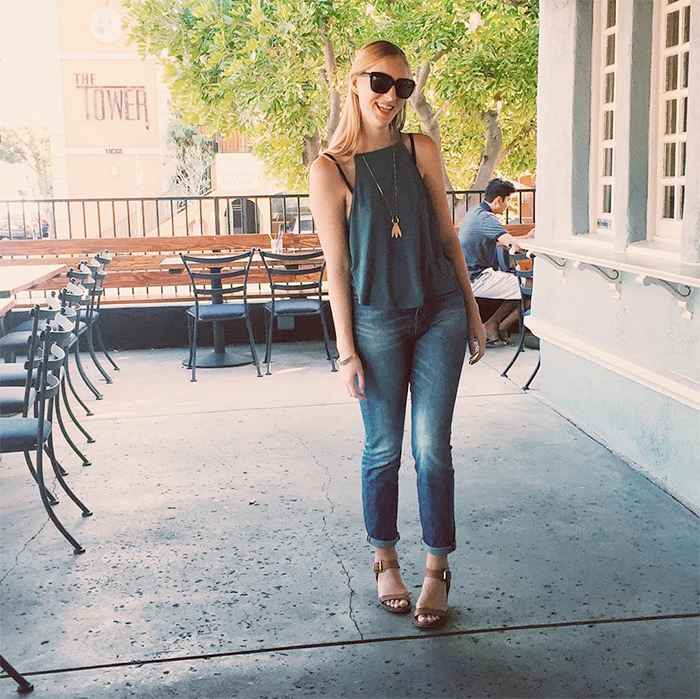 Known as the "Perfect Fall Jeans" they are high-waisted and the perfect balance of fitted and loose, just the way I like my boyfriend jeans! This outfit was so cute that I couldn't even change into more fitting cardinal and gold colors to watch the USC/Notre Dame game (sadness, we lost, but per usual we fought on and tbh we know how to party way more than those silly South Bend folks).